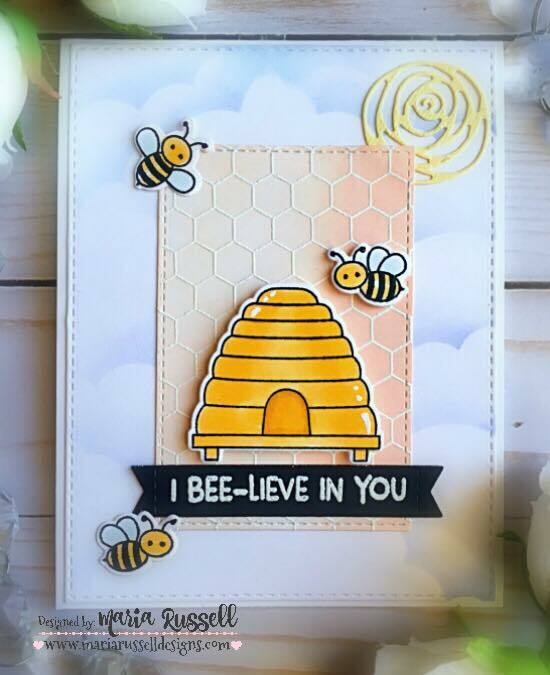 Maria created a soft, cloud-filled sky on the background panel of her card and added a rectangle panel on top with her focal images and sentiment. We love the embossed honeycomb pattern and the beautifully colored images. Birthday cards are always in high demand and can be so fun to create! 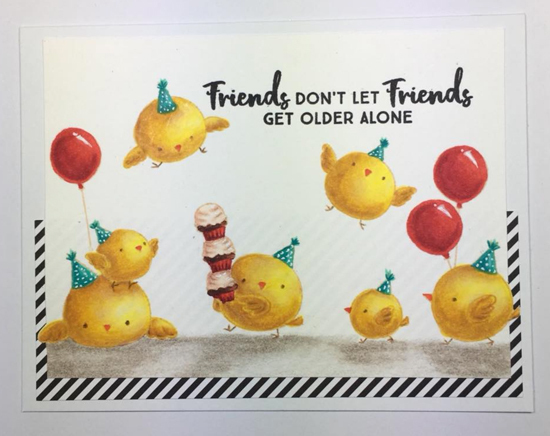 Guyta constructed an entire chick-a-dee family on her card, complete with party hats and balloons. She achieved amazing realism on her stamped images with no-line coloring and dimensional shading. Wendie's spring themed card brings us joy - from the no-line coloring on her bunny, to the incredible detail in the grass, to the stunning bubbles she added to the background, we simply adore this sweet scene. 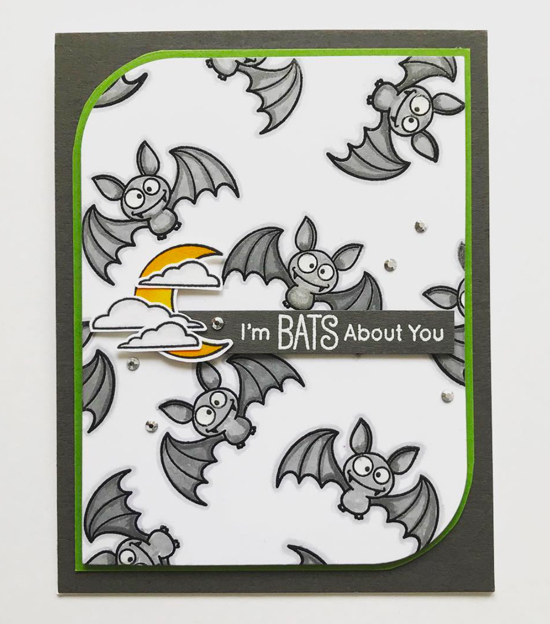 Halloween might be a while away, but after seeing Kjersti's card, we're pretty sure it's okay to tell someone we're 'bats' about them all year round. 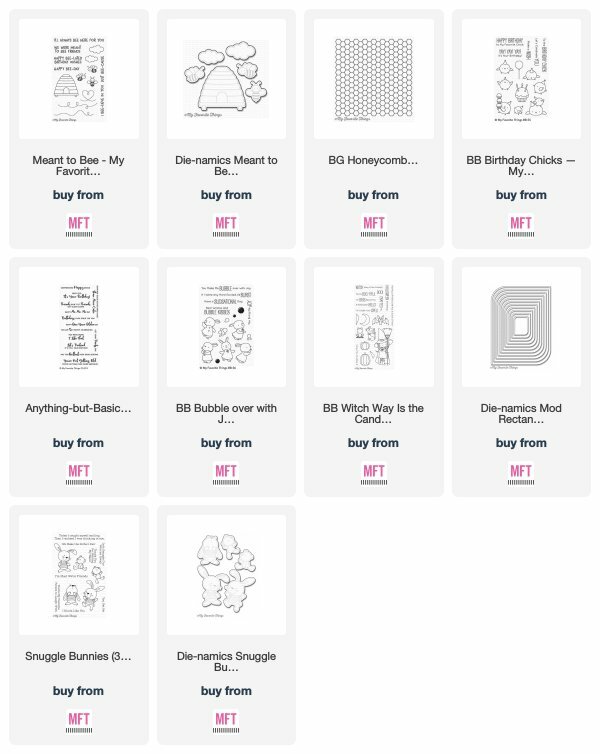 Using a single image to create a stamped background is a great way to stretch your stamps and build new looks. A critter on a string of balloons is cute all on its own, but the addition of a slider channel to make the balloons float into the air takes Svetlana's card to a whole new level. We love the colorful scene she created with a fun, interactive element, sure to surprise the lucky recipient! I am so so happy right now! Thank you so much for this - it is such a great honor! So many beautiful cards! Thank you so much for including my card in such great company! Well done, everyone!